By making a significant contribution to the security of our electricity supply and the success of the energy transition in Europe, we at TSCNET Services also share a great responsibility for a central component of the public infrastructure. We are standing up to this responsibility and are open to answer and debate – not only with our customers, partners and regulatory authorities, but also in dialogue with politics, science and society. We aim to be within easy reach and we want to make sure you get the answers you want quickly. Please send us your questions or comments by e-mail. We will reply as soon as possible. Please do not hesitate to get in touch with us. 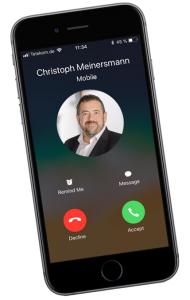 Christoph Meinersmann, our external Communications/PR expert, is responsible for all external and internal communications. This includes handling media enquiries, writing press releases, producing corporate publications, mainly the website, managing corporate social media accounts, organising interviews, photocalls, and press briefings. We are keen to promote our work and aim to respond positively and openly to all reasonable requests. However, network security and the needs of our customers are given the highest priority and we reserve the right to decline media requests where these conflict with operational requirements, secrecy or confidentiality. Photography or filming at TSCNET Services has to be agreed and arranged in advance.